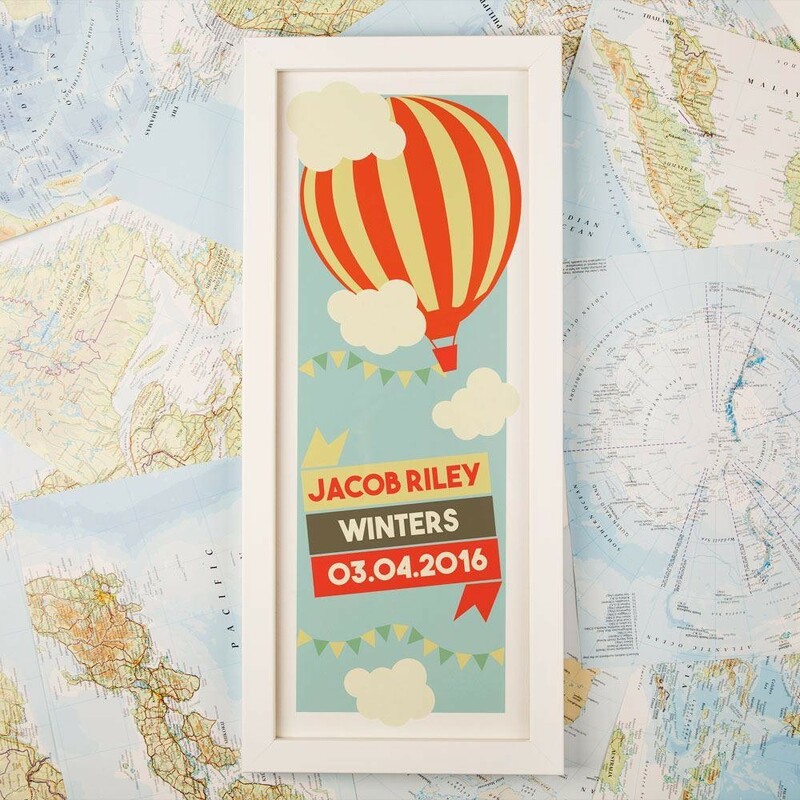 Celebrate a child's special occasion with a framed keepsake print that will stand out on their bedroom wall – it's a great gift for children of all ages, and especially as a new baby or Christening gift. 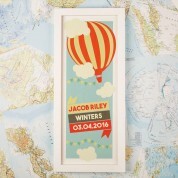 The classic hot air balloon design is personalised with a banner featuring the child's full name and special date. 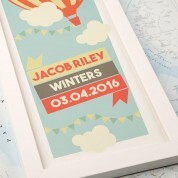 Popular dates to choose are their date of birth, Christening Day, or Baptism. The bold colours and flowing design will compliment any bedroom, and the print will stand the test of time as they grow up. 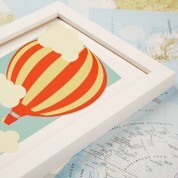 The print comes complete in a white frame and includes a mounting kit.